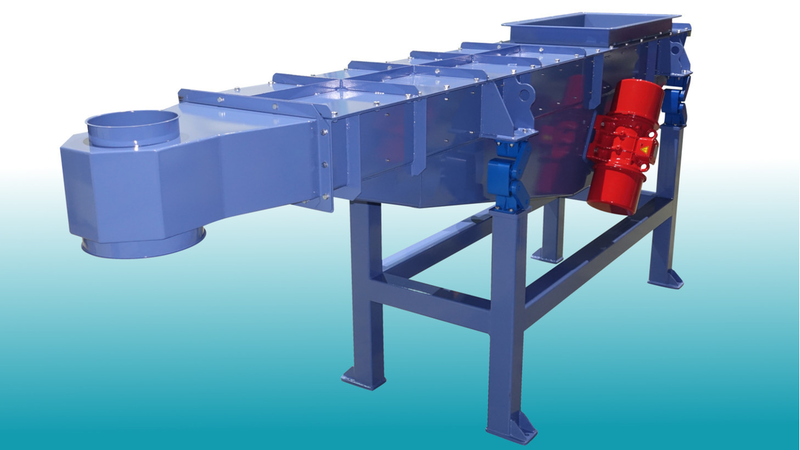 S&F’s AFR range of vibrating feeders are used in the wood-processing industry, the recycling industry and in other sectors. The following bulk materials are dosed and conveyed with a vibrating feeder: sand, sawdust, wood chips, pellets, refuse-derived fuel and much more. Vibrating conveyors with unbalanced drive are used for hopper discharge or as a discharge system following upstream conveying systems. For simple screening tasks - such as for protective screening - the vibrating feeder can also be designed as a screening conveyor with a screen deck. Advantages are the gentle conveying of product, the solid and robust design and the long, low-maintenance service life. Vibrating feeders (vibratory feeders) are available in various widths (400-2,000 mm) and lengths (max. 7 m depending on size) and enable material-dependent conveying capacities of up to 400 m³/h.